Many prosthesis wearers want a prosthetic foot that supports the most natural possible gait pattern, so that others cannot see an impairment right away. Ottobock based a development objective on this wish more than a decade ago. 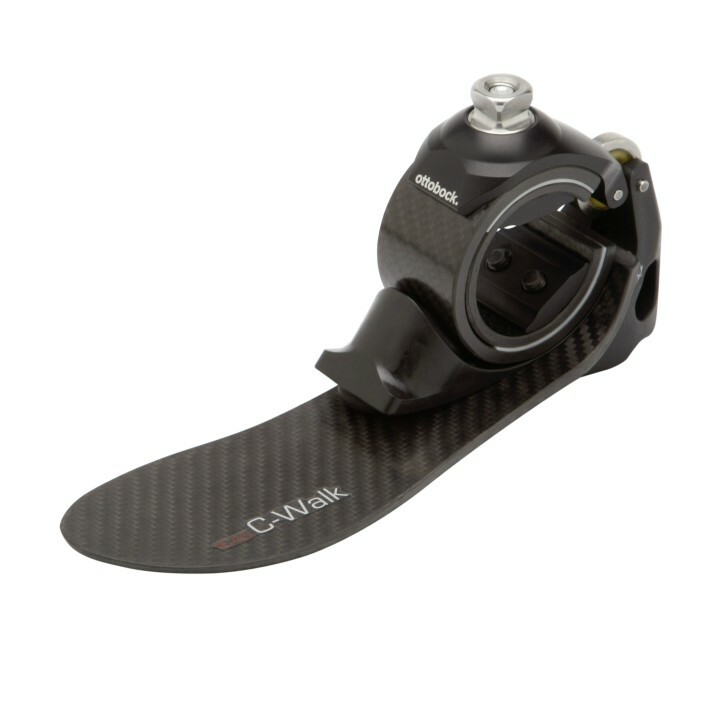 The result: A carbon fibre prosthetic foot called the C-Walk, which not only makes a symmetrical gait pattern possible but also reduces strain on both sides of the body, the one with the prosthetic fitting and the sound side. The basic principle of this unique design is based on linking a C-shaped carbon fibre spring with the base spring of the foot via a control ring. In every phase of the gait cycle, the C-Walk returns the amount of energy actually required for a rollover that is as physiological and harmonic as possible. Therefore you always walk comfortably and dynamically.